The photograph above was taken in January of 2003, at the newly completed Big Rock Ranch campus of Skywalker Ranch, in Nicasio, California. This was following a long-range planning retreat for the Marin County Fire Chiefs Association led by Chief Ronny Coleman. Jeff Meston is in the back row, third from left. As of 2017, all but four of those pictured are retired from public service. Novato Chief Jeff Meston is pictured third from the left in the back row. Photo courtesy of Tom Forster. 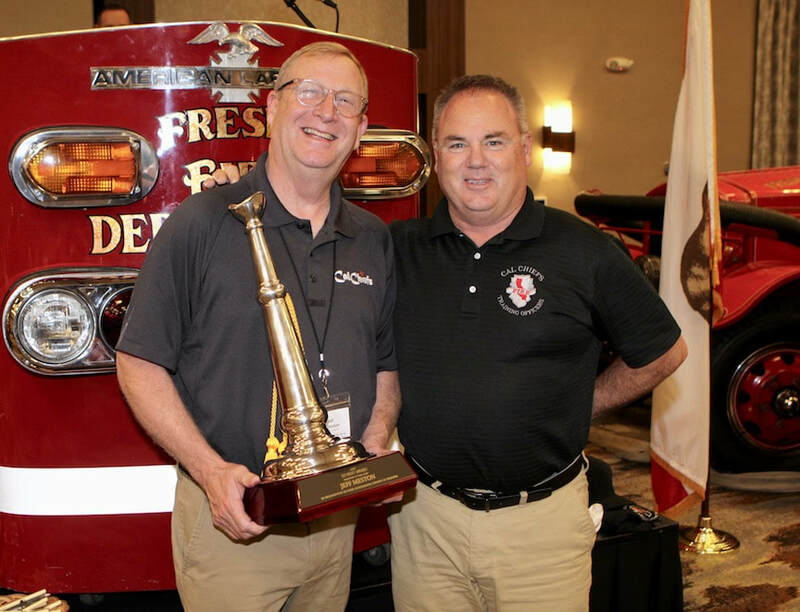 Chief Meston was the recipient of the 2017 Ed Bent Fire Instructor of the Year award given by the California Fire Chiefs Association Training Section on November 15,2018 in Fresno.